Creamy, smooth, refreshing and delicious. 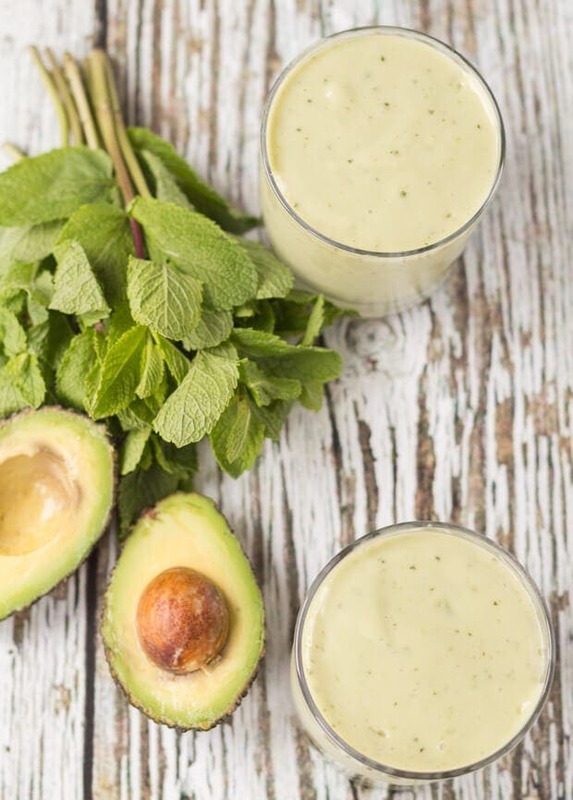 This apple mint avocado smoothie takes just 6 ingredients to make. It’s perfect as a healthy start to your morning or as a re-energising pick me up during the day. 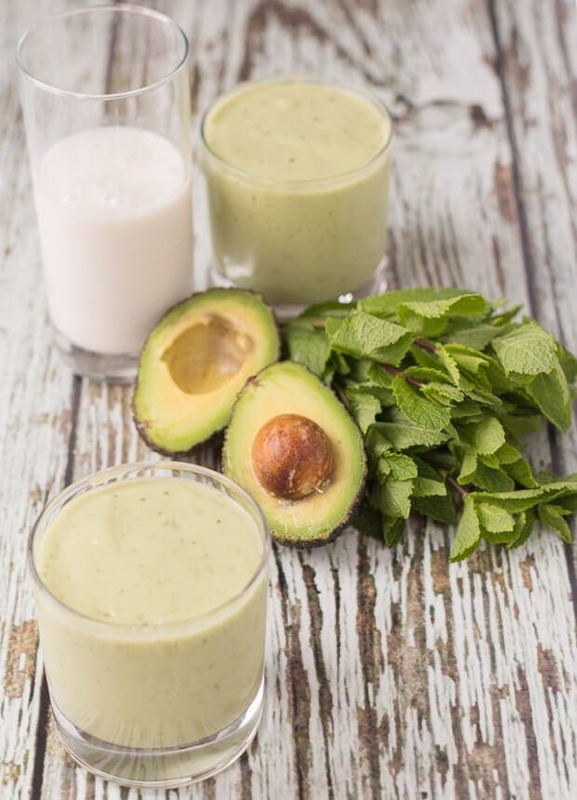 When Lady Lynne first tasted this apple mint avocado smoothie she exclaimed “It’s almost like a mint Aero”! I thought that was a pretty good description and that statement also meant this smoothie had fully passed it’s taste test. When I was testing out this smoothie I had no idea it would turn out so good and so tasty, and it really was by complete accident with me just trying out a few combinations of ingredients left in the fridge. Believe me, as a recipe creator there’s a lot of recipes that don’t pass the taste test and so they don’t make it onto the blog. But when this smoothie recipe got the full seal of approval, and so quickly too, it just had to be shared! There’s just 6 simple ingredients needed to be blended together to make this delicious creamy smoothie. If you’re starting your day out with an amazing smoothie like this then you can’t go wrong, it’s just full of good healthy ingredients. 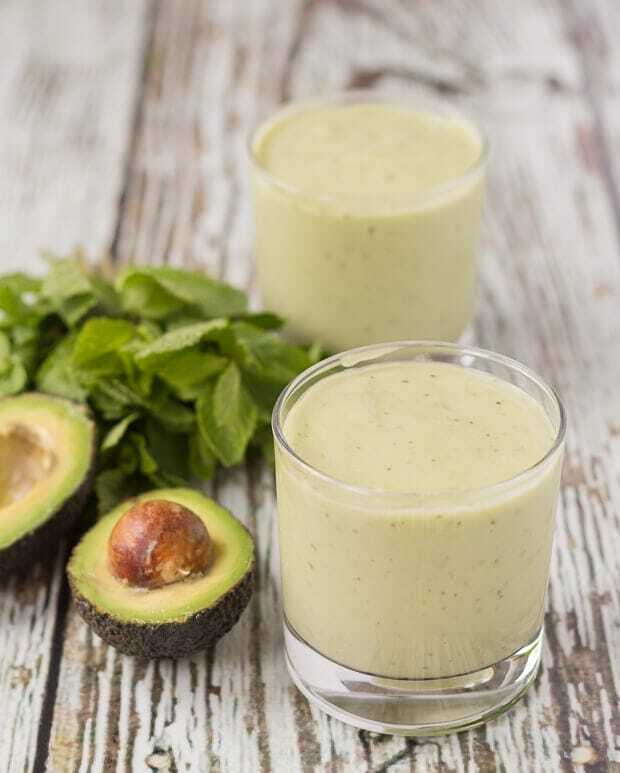 But this apple mint avocado smoothie isn’t just great start to the day. No, it’s also an amazingly refreshing “pick me up” at ANYTIME during the day! I can only describe it as being a bit like having a brand new battery fitted to yourself when you’re hitting those times during the day when you need an energy boost. Plus it’s certainly far healthier than actually reaching for a chocolate bar if your energy levels are already flagging. That chocolate bar could make things a whole lot worse with the refined sugar giving you an initial boost only to leave you suffering soon after from a sugar crash! Apples – if like me you spend many hours in front of a PC then eye problems are often unpreventable, but fortunately, apples can help to ease some of the effects of poor eyesight. Apples contain a considerable amount of both vitamin A and vitamin C, which helps to strengthen our eyes and can prevent our eyesight from worsening. Avocado – considered to be one of the healthiest foods on the planet, avocados are incredibly nutrient dense, meaning they have a huge amount of nutrients per calorie. Not only that they’re rich in fibre, protein and omega-3, a healthy fat essential for protecting against heart attacks. Fresh mint leaves – from aiding in digestion to fighting acne, mint can do it! Mint has also been linked to helping prevent memory loss and certain enzymes found in mint may also help prevent and treat cancer. Vanilla – contains specific antioxidants that can help to prevent our skin from ageing. Vanilla is also used to soothe wrinkles, heal damaged skin and reduce inflammation. Almond Milk – as it contains less calories than whole milk it’s is a great weight management substitute. There’s no cholesterol or saturated fat in almond milk helping to prevent high blood pressure and heart disease. Almond milk is also a source of iron and riboflavin which are important for muscle growth and helping to keep our bones strong. 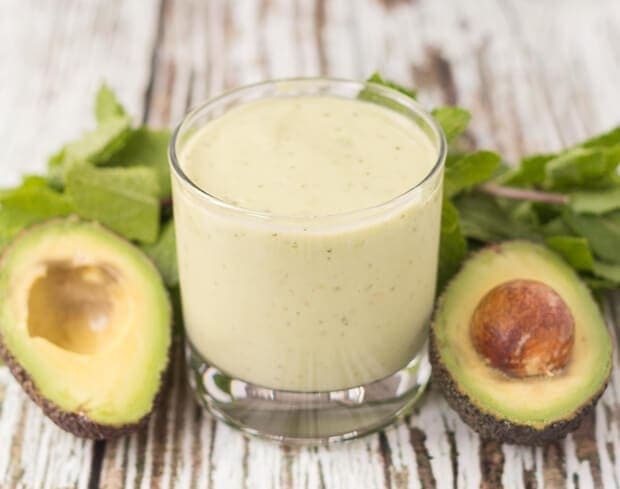 Creamy, smooth, refreshing and delicious this apple mint avocado smoothie takes just 6 ingredients to make. Place all 6 ingredients into a blender and blend until smooth. Place in the fridge to chill until required. So Folks, I mentioned in the previous no bake chocolate peanut butter raisin oat bars recipe that I was away hill walking last weekend and asked you to keep your fingers crossed for good weather. It worked! I’m glad to say that although the weather wasn’t perfect (that’s me leaning into the wind above!) it was a fantastic day with Mike and I accomplishing the climb of the two mountains A’ Mharconaich and Geal Charn that we had planned to climb. Anyway, I’m behind in my hill walking posts so there will be a recap on last weekends climb in a few weeks, meanwhile next Tuesday I’ve got some great pictures from our recent climb of Ben More and Stob Binnein and a video too. Have a great weekend and I hope you can join me on Tuesday for that. But if hill walking isn’t your thing, no problems I’ve got a tangy garlicky kale salad recipe coming for you on Thursday! I bet that is ultra creamy! I love the combo you used, apple mint sounds fab! It turned out really well. More creamy and minty than I thought. Avocado and mint are good together but when you put the sweet apple in, it’s something unique! So creamy smooth refreshing delcious. And yes, I need some hill waling pics! You know I love theM! Just perfect for a hot summer day Susie (which it isn’t here at the moment, lol). Yep hill walking pics (and video) definitely coming out on Tuesday. Have a great weekend! I am a big avo fan and I usually hog all of the avos for myself…now I have a great recipe to use it in. 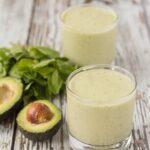 What a fun idea to use avocado in a smoothie! That’s definitely a new twist for me, but I can totally see how it would work well. 🙂 And we have a huge section of mint growing out in our garden…in fact, I have to keep pulling chunks of it out. That stuff is like a weed! Now I know what to do with the pieces I pull out. Thanks for sharing this one, Neil…and great photo from the hiking, too! Thanks David. Yeah this recipe was totally by accident. It just shows you what you can come up with by combining a few minimum ingredients. But the flavours here were amazing. Too good to NOT share, as I mentioned in the post.